Dr. Wright doesn’t just look at toys; she analyzes them. In and out of the box, she scrutinizes them for playability, appropriateness and educational value. The latter quality is especially important to this psychologist/mother, who also homeschools her three youngest children. TDmonthly Magazine’s Psychologist Mom recently took a trip around the game board, brushing up on fractions, writing believable headlines, and rating each product with 1 to 5 TD stars (for TDmonthly! ); 5 is the top mark. Imaginiff – Revised 2006 Edition by BUFFALO GAMES INC. The Dr.'s Impressions: Imaginiff is easy to play. Each player is given six vote cards and eight names of people that every player knows are written on the board. On your turn, you roll the dice, move to the person's name, then pull a card from the box. The questions are silly and interesting. For instance, “Imaginiff if Mom was a dessert; which one would she be?” Everyone then votes on which of the six options is most appropriate. Those who vote for the most popular answer move forward. Kids' Perspective: We had a great time playing this game. My kids thought it was hysterical calling their mom an electric guitar. Recommendation: This fun and creative game is visually appealing and well designed. Ideally, you’d play with a group who knows eight of the same people. But, we played with eight famous people, and that was fun, too. The Dr.'s Impressions: In Head1Liners, players (known as “News Staff”) write headlines for the same photo. After the anonymous headlines are read in random order, players move on the board based on votes from fellow players. The game includes 386 photos on 3” x 5” game cards, 45 H1L theme cards, eight sets of headline pads, eight wooden pencils, eight player tokens, five tip cards and a game board. Kids' Perspective: My boys (8 and 11) were not old enough to play, so I recruited my older daughter, her friends and my husband. We had a great time. Recommendation: Head1Liners is a wonderful game to play with a big group of people — at least six. The photos are really fun, and the game inspired laughter and praise about everyone’s ability to write great headlines. The Dr.'s Impressions: The board for this two-player marble game consists of 61 circles arranged in a hexagon, five on each side. Each player has 14 marbles with the goal of pushing opposing marbles off the board. The rules are simple, and the game is fast-paced and enjoyable. Kids' Perspective: The kids especially liked pushing the marbles off the board, which inevitably rolled off the table and onto the floor ... which I especially did not like. I found that, as when playing chess, it is important to match the players’ abilities. 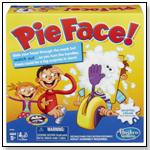 Recommendation: At its core, this is a math and reasoning game. It teaches many of the skills that chess offers but is more aggressive and physical, which is good for my boys. 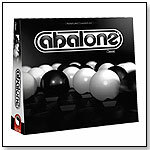 The marbles are nice and heavy, but the board is made of cheap, light plastic and detracts from the feel of the game. Nonetheless, it would make a wonderful gift. The Dr.'s Impressions: This game seems to be a loser’s Yahtzee, as the name and setup are focused on losing. There are six dice, a beautiful dice holder and confusing directions. While playing, I had to reference the directions several times before I could get the feel of this game. Kids' Perspective: My boys (11 and 8) liked the game. However, they could not help comparing it to Yahtzee. They did notice that the game relies on luck and chance more than strategy, and that the fun part — yelling “Zilch, Zonk or Farkle” — means you’ve lost. Recommendation: I love dice games and I really wanted to like this one, but I found it difficult to get past the astringent rules that seem to limit the player at every turn. It is still fun to play. It could be a great game if the focus was on winning instead of "farkling". The Dr.'s Impressions: This is a graphically unsophisticated glow-in-the-dark puzzle. Kids' Perspective: My 8-year-old son had fun putting it together. However, it took him all of five minutes to complete, and although the box says it could be used as a collectors’ piece, it could not. Recommendation: This is a fun and challenging puzzle for 5- to 7-year-olds, but that is the extent of its usefulness. The graphics, design and directions are appallingly insufficient. The Dr.'s Impressions: Fraction Whirl I is an educational game that teaches fractions using cards and a slider. The cards demonstrate fractions through pie charts, dots and blocks. The goal is to collect four matching fraction cards and be the first to grab a "Whirl" token. Kids' Perspective: The kids liked the game enough to play it and actually learned a bit more about fractions. The packaging is obviously educational, though, so it’s an immediate turn-off. However, once forced to play, I found that kids really had fun, and the slider worked like a calculator — taking away some pressure. Recommendation: As a homeschool mother, I like the educational packaging and game pieces. But that’s a downside, too. While the game offers a fun way to learn fractions, the 1950s-reminiscent educational packaging does not speak to the culturally stimulated children of this century. · CD Reviews: Princesses, Animals, and Grandkids Rock!